112" x 109" x 109"
Fabricated patina'd steel, AC motor, raw sheep wool. 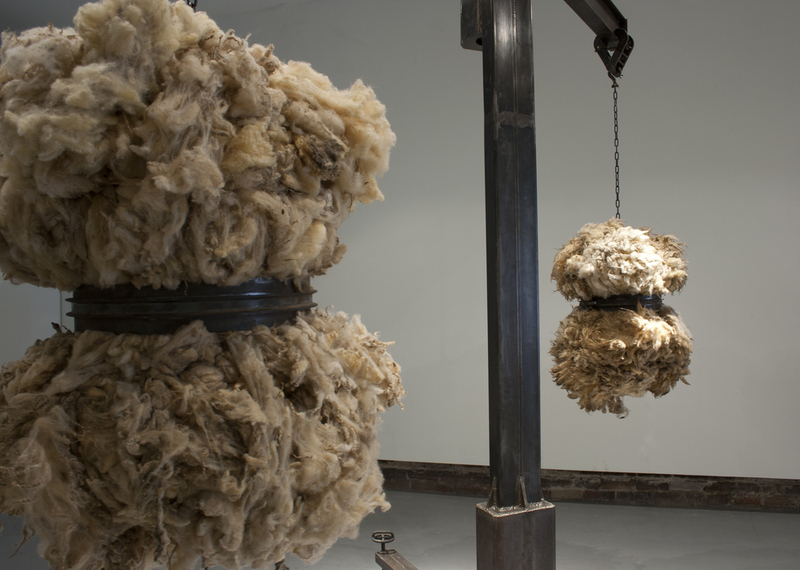 In "A-L-I-C-E", an AC motor is randomly triggered on and off causing two life-sized masses of raw sheep wool to dance around an industrial crane-like object. Upon stopping, the wool masses slowly hang, swinging delicately, until they begin to spin again. As a very small child, I watched a butchering on the farm of a brown Jersey cow named Alice. It was experiences like these that taught me of the relativity of life and death.